Will meaningful brands empower the strategy of business direction: 2012? 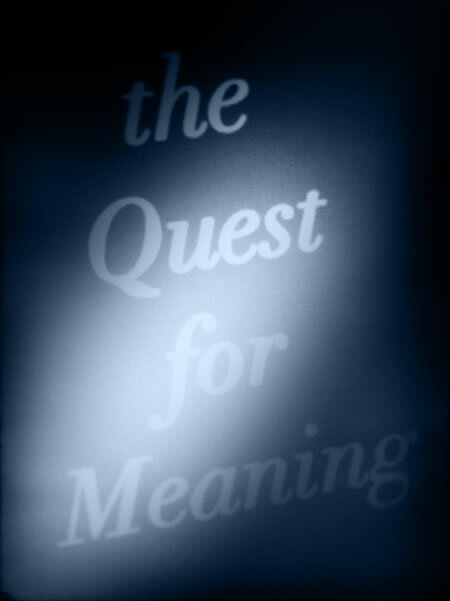 In these days, exploring the soul of brand in the human enterprise, we find the quest for meaning to be a recurrent theme. Over the course of the last number of months, much of the work that we’ve been engaged in gets to the idea of the soul — and the meaning — of brands. Brands, being made by people for people, this would be a fundamental problem — something to explained and explored as the very heart, the centering principles of a brand / commercial enterprise / business proposition. Surely there are other overtones — like, most fundamentally — “we need money to survive.” But there are lots of ways to make money, so that’s almost an operational theorem — passing valuables to engineer survival. We wouldn’t discount the nature of surviving as a core driver, but the distinction to actually “surviving” brands live in the community of their sustaining power. If the soul of the brand is making money, then the soulfulness of the relationship will be fundamentally based on just that: “cash.” That’s a point — but it’s not differentiating — the relationship is sustained only on the character of transaction. While this might be seen as a positioning that’s simply not relevant — why should a mere contraption of commerciality have more than just cash — it’s about life. Eventually, the potency of a brand will come to this proposition — they will either get the life relevance, resonance and relational connection, or they will die. 2012, others emerge on the list. Working on a recent presentation, as well as an alignment with another firm, we shared some projections on the state of the US market — and there was supportive evidence to the trend of meaning in the tread of analyses by Yankelovich. Their summary offers three threads of trend — caution in the inherent sense of security and risk — the volatile jeopardy of the future. Curation defining circles of intimacy — expressed in the mediation of every message. And contentment in the proposition of the “loss of fun” — and the search for meaning; a marketing shift in small getting bigger. These exemplify references from their overview. Brands, with meaning, experientially filtered in the layering of connection, contentment, cultural depth embody richness (and a better chance of happiness in their communities;) brands with soul last longer.